Pre-vacuum... 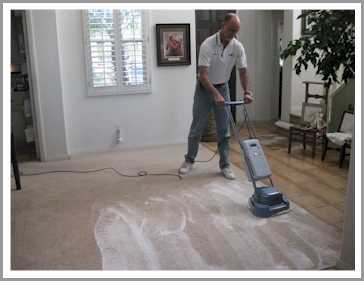 Customer vacuums and we vacuum to remove any Loose Soil, Sand Particles, and Dust..
Our Carpet, Upholstery, and Bed Mattress cleaning process can help you achieve a Healthier Living Environment. Our High Performance Vacuums with the HEPA after filter are designed to capture contaminants as small as 0.3 microns such as Pet Danders, Dust Mites and other Pollutants. Removing 99.97% of particles as small as 0.3 microns. Our Vacuums are Certified by the Carpet & Rug Institute Green Seal, because of their Superior Soil Removal, Containment of Dust and Carpet Fiber Retention. 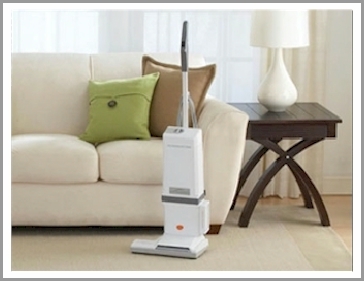 This means a cleaner home for you, and your loved ones. Pre-spotting... 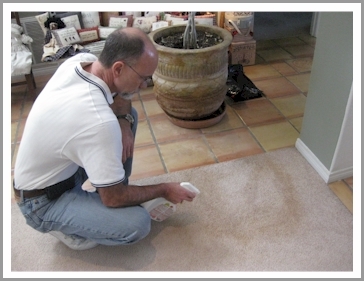 This is the treatment that will be applied to any spots your carpet may have. 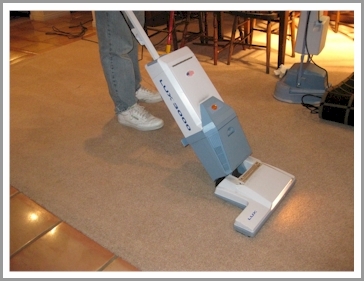 Dry Foam Carpet Cleaning... Deep cleaning with Circular Dry Foam Carpet Cleaning Method which is rated by Consumer Report over Steam Cleaning, Chemical Dry or Shampoo methods...This process is safe and non toxic: soil guards, deodorizes, disinfects, and leaves no sticky residue...It will not get the padding or the latex backing of the carpet wet and it is approved by most carpet manufacturers and 3M Scotchgard™ for maintaining your carpet warranty. Grooming... 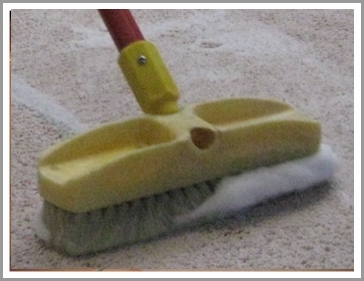 Carpet is brushed out after the cleaning process to raise the nap in order to enhance the drying process. Post vacuum... 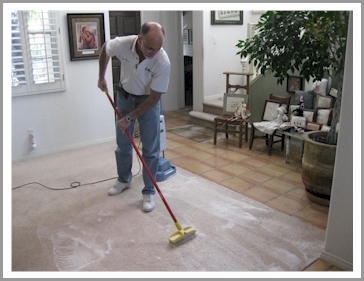 Customer needs to vacuum the carpet when dry to remove any soil or dust that may have become suspended in the fibers during the cleaning process before it can be redistributed to other fibers.